If you could choose 5 favorite garden catalogs, what would they be? With hundreds of garden catalogs available, it isn't an easy choice. Every gardener has their own favorites, but here are a few for you to check out. You may find that your own list needs a couple more added to it! When you go on your search for garden catalogs, you can narrow your choices a bit by determining what type of garden products you are looking for. Do you want garden supplies? Landscape plants? Flowers? Heirloom seeds? The list could go on and on. There is literally a catalog for everything imaginable. Here are a few of the best catalogs that you will enjoy. 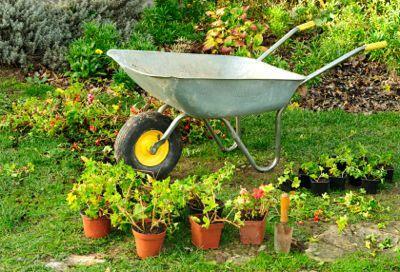 Looking for great gardening supplies? Then look no further than Planet Natural. You'll find everything you need for your garden, and everything is safe and natural. At Planet Natural you can purchase organic fertilizers, composting equipment, greenhouse supplies, grow lights, pond supplies and much more. You can also find a nice selection of heirloom flower, herb and vegetable seeds in the Planet Natural catalog. A free catalog can be requested through their website. When you want to find a special tree or shrub to enhance your landscape, you should check out Stark Bros. Nursery and Orchard. You'll find a wide variety of fruit trees, berries, shade trees, flowering trees, shrubs and even roses. Stark Bros. also carries the supplies you need to grow your purchases successfully. You can be assured that they know their stuff--Stark Bros. has been in business since 1816! Request your free catalog and explore the possibilities. If you'd like to naturalize your property with beautiful wildflowers, you need to check out the catalog from Wildseed Farms. They grow their wildflowers on 200 acres. Surly an amazing site to see! Seeds aren't all they offer at Wildseed Farms. They also have an excellent selection of specialty food items that are sure to make your mouth water. Order a catalog or download a PDF version to your computer. You can also visit in person if you are fortunate enough to live near Fredericksburg, Texas. Don't forget your camera! Many gardeners are learning to appreciate the flavor and variety or heirloom vegetables. You can explore heirlooms too, just by checking out some excellent catalogs. Baker Creek Heirloom Seeds is a great place to start. More than just a catalog, you'll learn the history of each plant within these pages. With 1400 varieties to choose from, you're sure to find a long list tempting, open-pollinated seeds for your garden. When you are planning an herb garden, Seeds of Change is the catalog to shop from. You'll find only the highest quality culinary and medicinal herbs, all certified organic. You'll find more than just herbs in the Seeds of Change catalog. They carry vegetables, flowers, garden supplies and more. There are many more wonderful catalogs in addition to these 5 favorite garden catalogs. So many that it would take pages to list them all. What are some of your favorite seed catalogs? Share them below in the comments section.